AU London is a conference for those who design, create and make the world around us and provides attendees with the opportunity to connect with the best in the business, share technical knowledge, solve unique business challenges, and gain a deeper understanding of cross-industry opportunities. 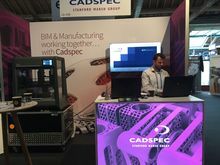 We’ve caught up with some of the Cadspec team to find out what went on over the course of the two days… Hi Guys! We had some great conversations and in particular a wide range of enquiries surrounding BIM for manufacturing. We’re looking forward to getting involved with some content creation projects after some positive discussions at the event. We also had a lot of interest in our add ons for Autodesk Revit and of course the Desktop Metal Studio System that we were lucky enough to have on our stand. We had visitors enquiring about metal 3D printing for their prototyping needs. The team spoke to a range of people from Designers to Architects and Students. Autodesk were offering free classes over the course of the event which created a lot of interest. 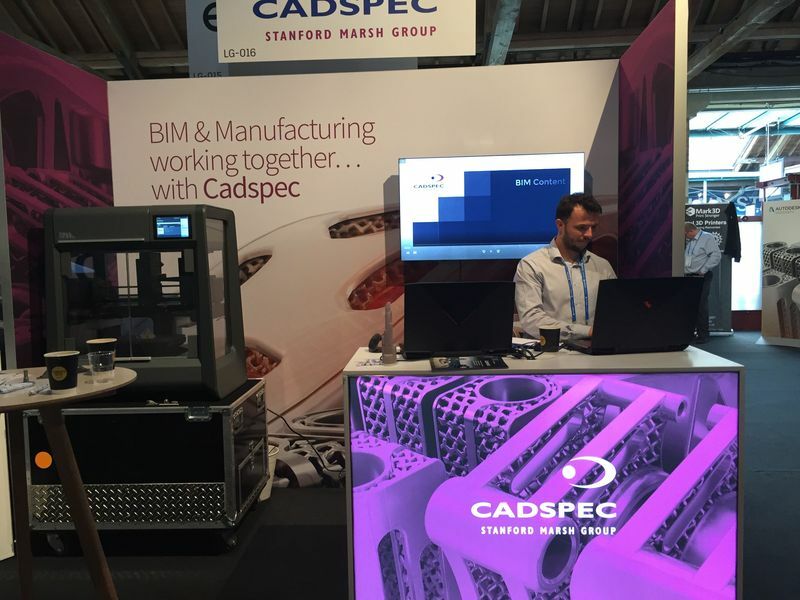 It was really great to see people so eager to discover the potential of the Autodesk software range and we were able to follow up with these people after to discuss some of the AEC and MFG collections on offer. We saw a great amount of interest in the AEC and product design and manufacturing collections this year. Autodesk have added a range of software to the collection as well as enhanced toolsets which help to streamline projects as well as increase user functionality locally. We’re looking forward to following up with some of the enquiries over the next few weeks. "I attended a seminar on employing digital strategy for house builders and this was so useful for my line of work. It offered a wider insight into the upcoming developments within the AEC industry and I’m looking forward to some interesting conversations over the foreseeable future. It was particularly great to discuss the latest projects and developments with other like minded professionals at the seminar"